Obituary for Floretta Lee Deshields | Henry Funeral Home, P.A. 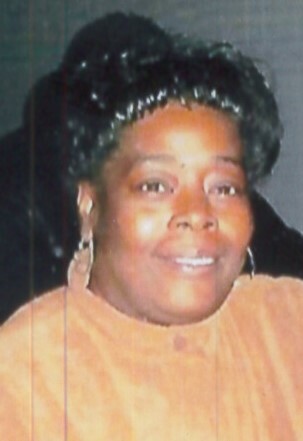 Floretta Lee DeShields, 58 of Easton departed this life on Saturday, March 23, 2019 at Bayleigh Chase in Easton, Md. Born January 1, 1961 in Easton, MD daughter of the late William Sr. and Mary DeShields. She was a longtime employee of Hill’s Drugstore. She was employed at Walmart in Cambridge within the Deli Department until her illness. Flo, was a faithful member of the American Legion Unit 77 Ladies Auxiliary. She had a love for all types of music and always looked forward to winning big playing the Legions annual Football Pool. In addition, to her parents she was preceded in death by four brothers, John Joseph, William DeShields Jr. (Buddy), Leslie and Ricky DeShields and two nephews, Christopher Willey and Ronald Gaines. She leaves to mourn her children, Montreyse DeShields and Dynesha Thompson (Diquon Sr.); grandchildren, Montreyse Jr., Montreyl and Ma’Kye DeShields, Madison Wright, Myiah and Marques DeShields-Wright, Sai’Heem and Sha’Niyah Prophete and Diquon Thompson Jr.; three sisters, Rosalind Austin, Carlene Phoenix (Serug Sr.), Mary DeShields; one brother, Mark DeShields Sr. (Priscilla); nieces and nephews, Raquel Gaines, Tawne and Dennis Nelson, Ke’Shaune DeShields (Jerald), Serug Phoenix Jr., Marrell Blake (Tanica), Lamara Haynes, Lakeisha Hardy (Dennis), Markree and Mark Jr. DeShields, Jock and Jonathon DeShields; three great nieces, whom were very dear to her heart, Ahmia and Alayza Marion and A’yana Dickerson; one uncle, Marvin Austin and a special friend, Edward Jackson and a host of great nieces, nephews, cousins and friends.